He's tougher than Canada if that makes any difference. Really...how so? 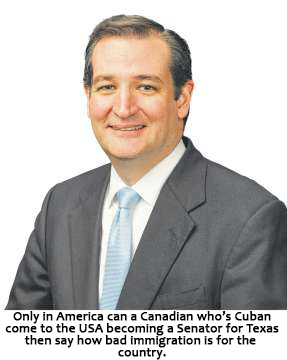 Please explain what makes Ted Cruz 'tougher than Canada'. edit on 10-10-2018 by JohnnyCanuck because: this ain't the Mudpit. I honestly can't see the guy has anything going for him. But, he's drawing crowds because he's "young" and has a cute name, "Beto". ...and another one! This is great! !